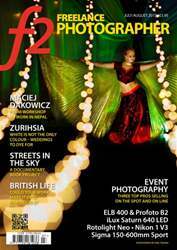 The July/August issue of f2 includes the full story of how street photographer Maciej Dakowicz found himself at the heart of the Nepal earthquake zone, looks at the world of Asian weddings with Zurihsia, and talks to three leading event photographers. Books, self-published and with competition entry, are on the shelf. 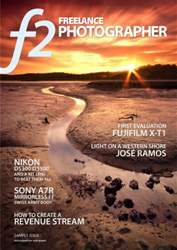 Sigma's sports 150-600mm tested, along with Nikon 1 V3, Elinchrom ELB400 and Profoto B2 flash kits - and more.